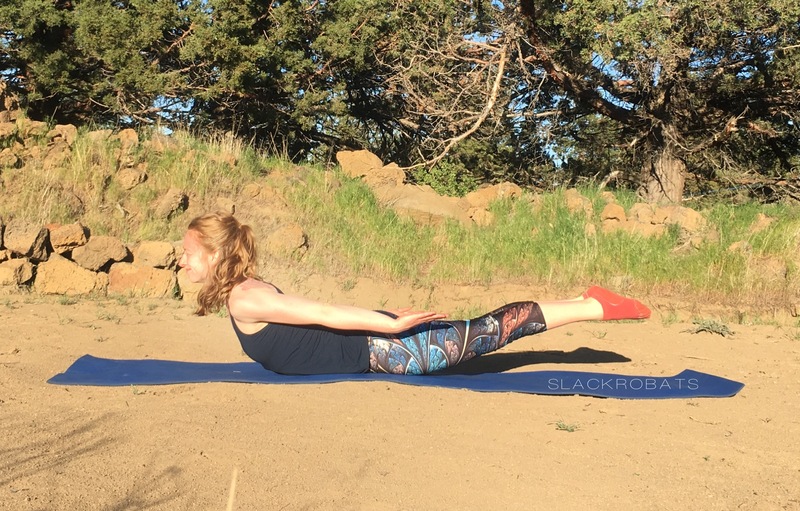 Today I’m going to review 5 yoga poses you can train to strengthen your AcroYoga practice. 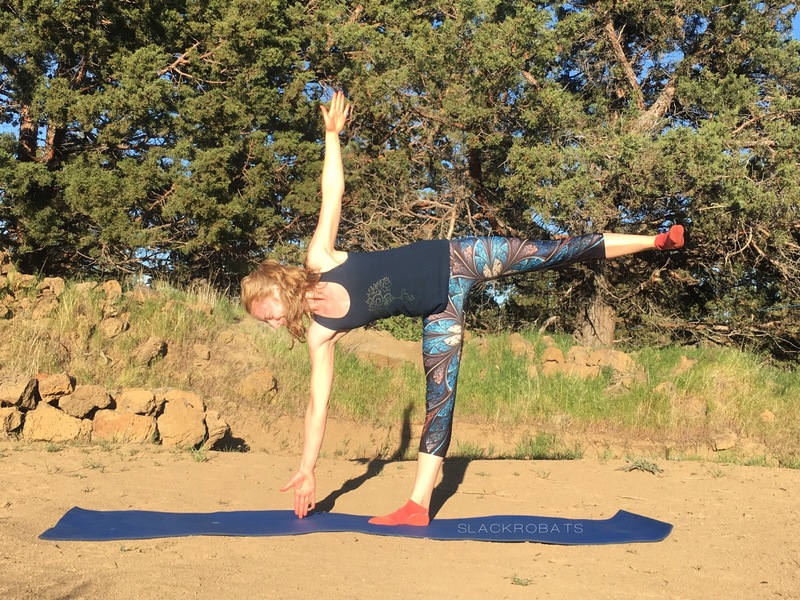 These five yoga poses mimic the body shape needed to execute the AcroYoga postures. So by training the yoga pose, you are strengthening and stretching the body, as well as familiarizing yourself with the necessary body shape and position to progress towards acro. Below there is a picture of the yoga pose next to the AcroYoga pose so you may see the similarities side by side. Let’s start at the top of the list and work our way down. Taking a side by side look at both poses. Notice how similar the body shapes are to that of the yoga postures, for the flyer. In some cases, such as Mermaid pose, they are practically the same. That’s part of the beauty, by training these yoga poses, you are also preparing yourself for the more advanced partner practice! In most of the postures (both yoga and AcroYoga) your body is active to some degree. Engaging certain muscles to maintain body alignment is crucial to the overall health of your muscles and joints. Regarding muscle engagement with the complimentary poses, sometimes they are very similar to one another, and sometimes they are not. In this first review you are firing up most of the same muscles in both postures. Don’t forget to warm up your legs bases! In both these poses you engage the mid to upper back as well as your core. Your hamstrings and quads are firing equally. The chest lifts up towards the sky and you are looking forward. There is also a pushing of the hips into the ground with Locust, the same in Bird, however the ground is a pair of feet. When you do Locust, remember to zip up the legs. Actively draw them together and lift up. One final tip for both poses…draw the shoulders away from the ears as you lift the chest. This will help you be strong and graceful while flying in Bird. With these two poses, it’s mostly the body shape that’s similar. You’re using your core in both to help maintain that body shape. In Half Moon the weight is on the standing leg making it a balance posture. With Side Star the weight is on the hip, changing the balance completely. Both poses have the hips stacked, and that’s why it’s important to train Half Moon, to train the hip stack. Having that hip stack awareness and muscle engagement consciousness will help you find success in Side Star. Specific alignment and body awareness really helps dial-in both practices. Both of these poses require not only core engagement but also strong active legs. With the Tri-Pod headstand there’s more weight in the hands than in the Star position, where all the weight is on the shoulders. 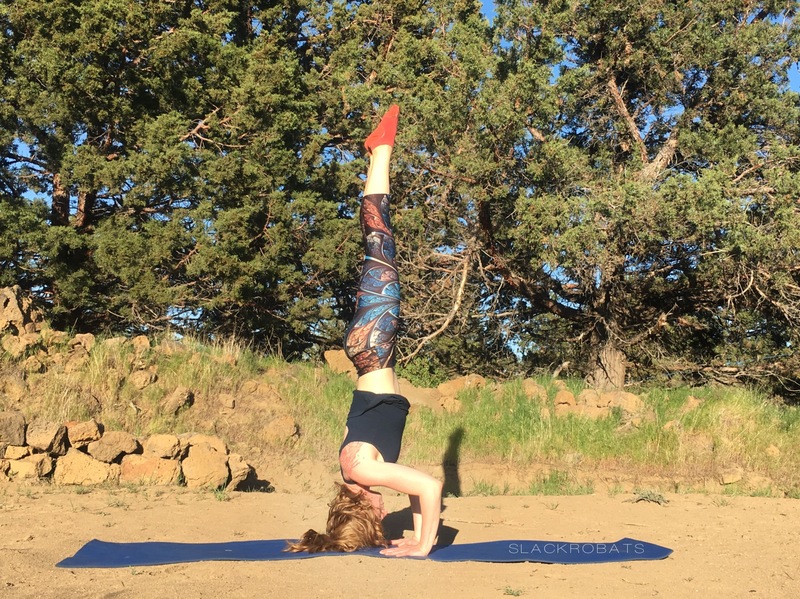 It’s important you do not put all the weight in your head when you’re doing a Tri-Pod headstand, but instead use your hands to really help support you. Draw your elbows in towards each other, as they will have a tendency to fall out. Training this body position gives you an excellent foundation to approach Star. These postures are alike in body shape, but differ in muscular engagement. 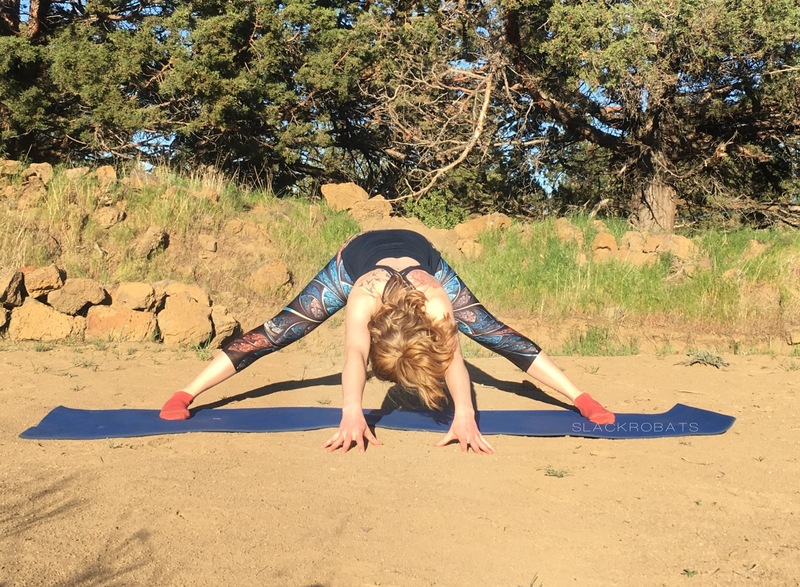 The Wide-Legged Standing Forward Fold uses more leg activity to hold yourself up and pull your chest towards the ground, than Super Yogi does. There is some leg activity in Super Yogi to keep a shelf for your base, but it’s mostly a passive therapeutic flying posture. With the arms overhead and the chest pulling towards the ground, both poses are excellent shoulder and heart openers. 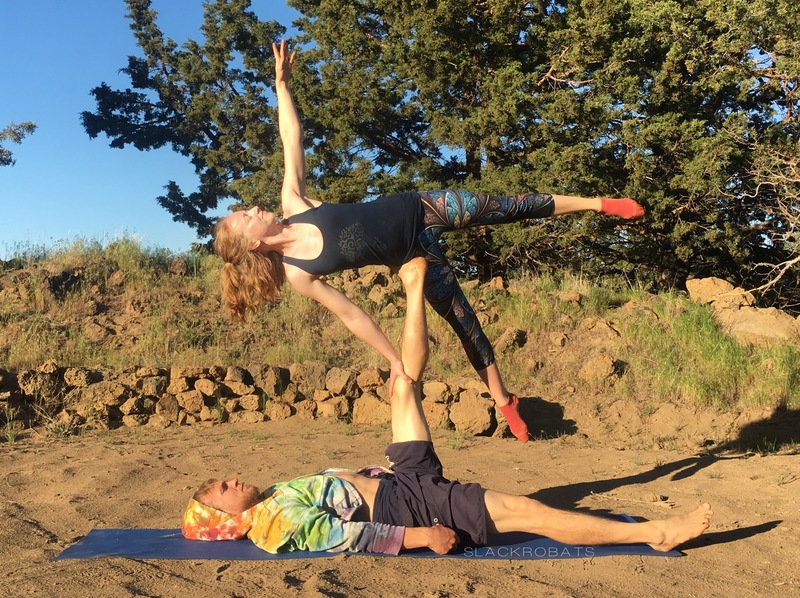 Super Yogi is especially relaxing, because you have someone supporting you, rather than holding yourself up. This allows you the opportunity to fully relax into the shoulder and heart opening. Not only are these postures named the same, they are the same body position as well. 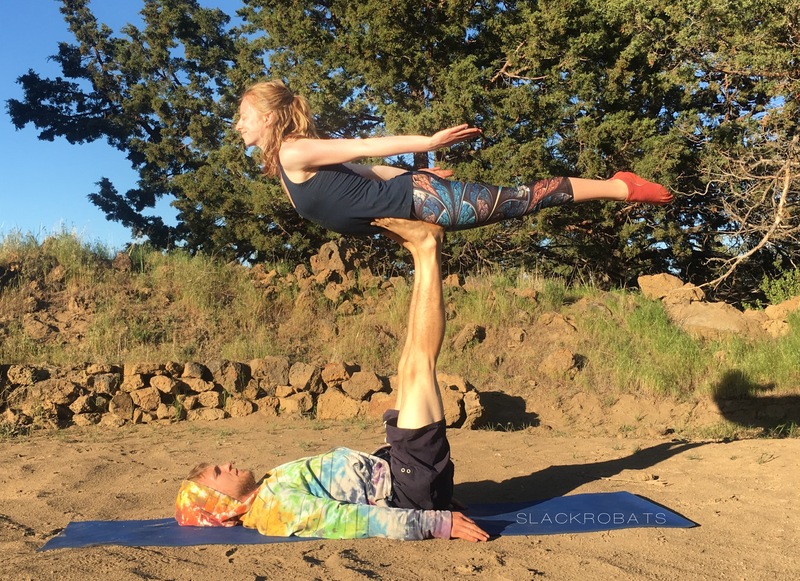 In the AcroYoga pose, the flyer has to stabilize on a moving ground, aka the bases feet. The yoga pose has a stable non-moving ground, making it a little easier to relax into. 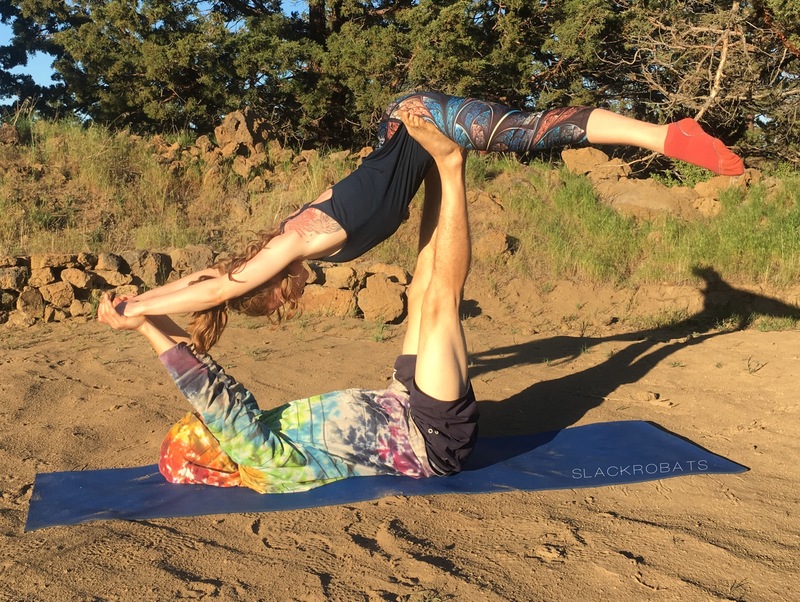 Overall both these poses are very similar, they have some subtle differences, but knowledge in the yoga pose easily translates to success in the AcroYoga pose. These practices share similar body positions, muscular engagement, and both strengthen the body as well as the mind. The differences accentuate the beauty of each practice. 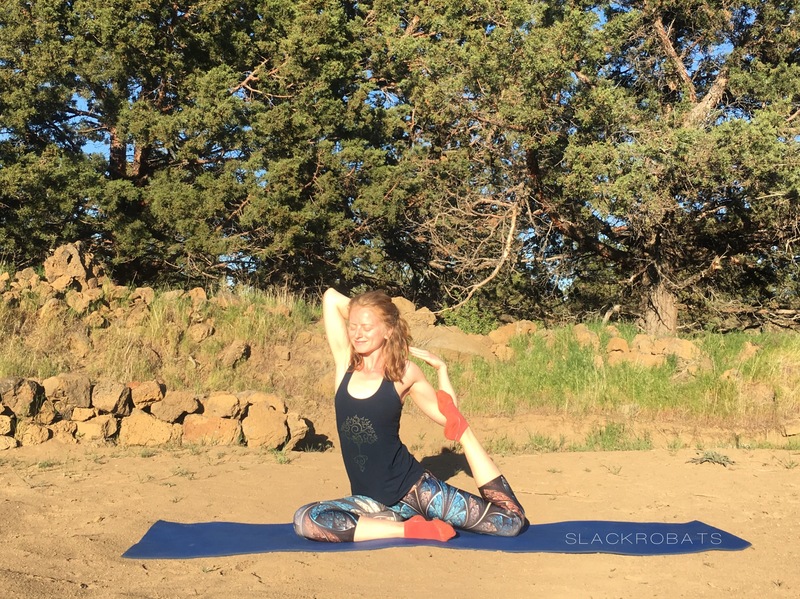 Yoga is more of a personal journey, communicating with yourself, on your mat. 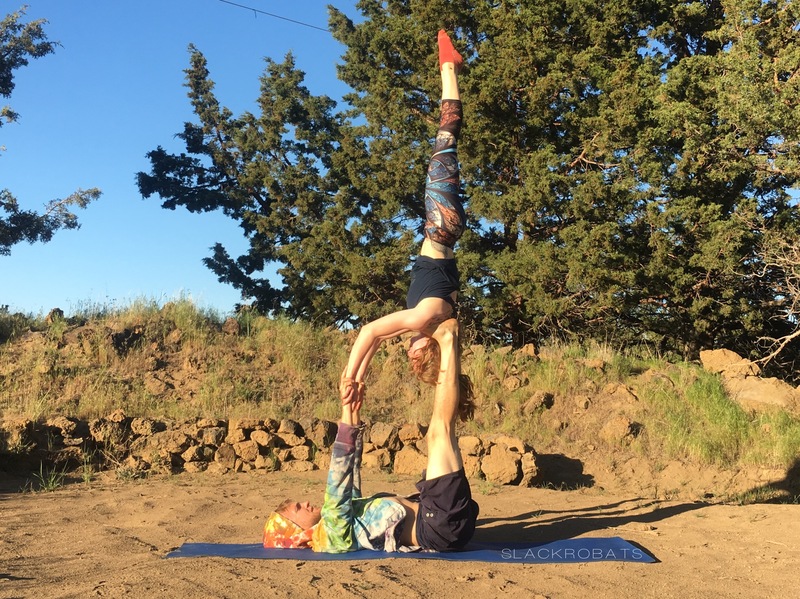 AcroYoga is more of a partner journey, communicating with another person, as well as trusting another person. I believe yoga helps to build trust, love and respect for yourself. 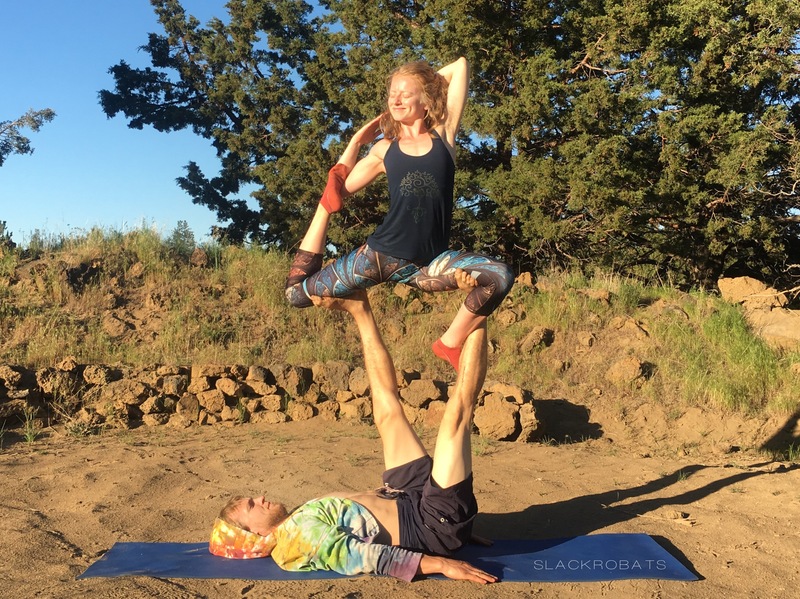 The personal strength gained through the practice of yoga allows you to be more open and trusting with others in the AcroYoga practice. Something else that’s cool…you’re not required to know one to practice the other. They are independent in that way, but put together, they build a strong foundation for you to grow and learn on. You can find more fun conditioning exercises on our YouTube channel and on SlackrobatsAcademy.com.